« HUNGARY’S 10TH YEAR ANNIVERSARY OF ACCESSION TO THE EUROPEAN UNIO. 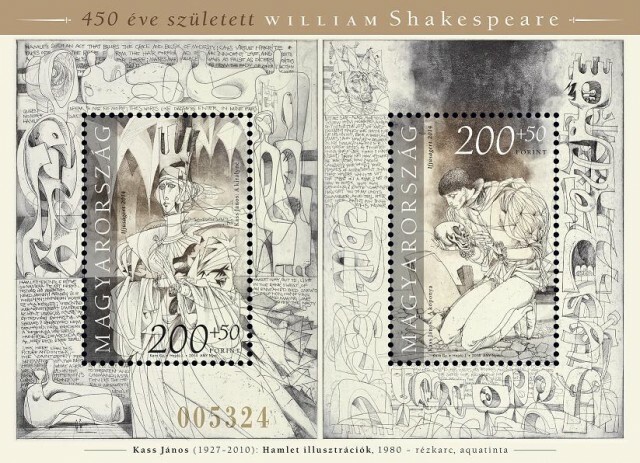 On the occasion of William Shakespeare’s (1564-1616) – 450 years anniversary, the Hungarian Post issued a numbered surcharge block commemorative stamp in honor to one of the greatest English-language drama, playwriter, national poet and actor. Reminder … The surcharge of the block may not be used to pay for postage for letter-mail items.